In 2014 game-ery, DLC is nothing less than a dirty word (or rather, acronym). It’s the scourge of our times, and if there’s one thing the Internet likes to whine about, it’s this shady business. We all know the routine. From tiny little additions that barely qualify as microtransactions to whole new campaigns, these guys will package and sell anything. Just to get their tentacles on a little more of our cashtacular. Worst of all is the dreaded on-disk DLC, when something that already existed prior is withheld just for that purpose. Now, when they’re simply supporting a game post-release, that’s all well and good. Feast your eyes on Plants Vs Zombies: Garden Warfare, for instance, for DLC done right. Regular packs comprising new characters and stages and such? It’d be rude to refuse. But there’s no doubt that this is the exception to a crappy, crappy rule. Traditionally, Nintendo have had no part in this. I’d like to think that this was some righteous moral decision, made by high-minded businessmen seeing the sad plight of African children and declaring: no more. In reality, that was just them having no clue about this newfangled ‘online play’ thing, and thinking it was witchcraft or something. A philosophy which has held true until relatively recently. Of late, they’ve taken a tentative step into the cretinous world of DLC. 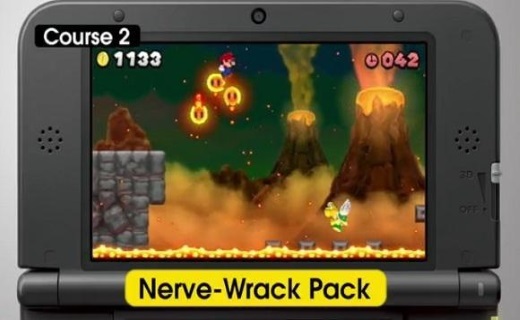 The 3DS’s New Super Mario Bros. 2 was the first to offer content pack post-launch, with series of challenge levels and such. They were strictly optional, and available at a budget price, but opinions were mixed. And now, just this week, this happened. 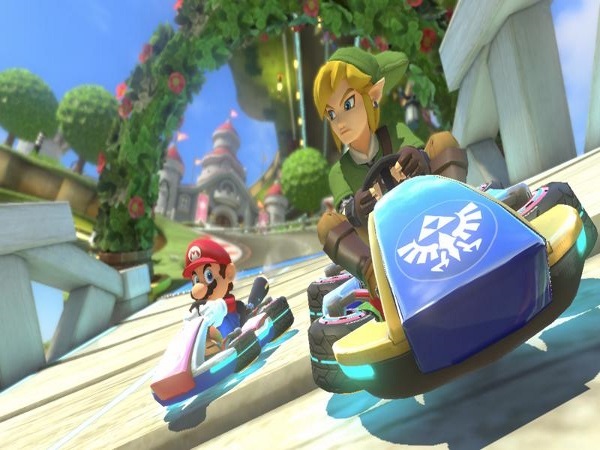 One of their biggest releases of the year, Mario Kart 8, has seen the arrival of the first of two packs. And the biggest news? Link, heroic fairy-boy of The Legend of Zelda fame, is now playable. Which is, for long-time Mario Kart fans, huge. Outside of that arcade weirdness with Pac-Man, nobody from outside the Mushroom Kingdom has ever seen the light of day here. This isn’t Super Smash Bros., where everyone from ROB to that woman in the yoga pants from Wii Fit gets a go. Cue Grandpa’s reminiscing: when I was a boy, Mario Kart meant Mario Kart. What the hell’s happened to the world? Since his release, naturally, Link has taken online races by storm. There are reports of lobbies filled entirely by 12 Links. In the second pack, scheduled for early 2015, Animal Crossing characters are joining the ranks. But that’s just what happens when the curse of DLC gets on you.